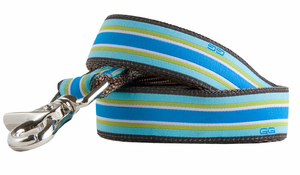 North Beach our preppy stripe design splashes a refreshing deep turquoise, mod green, and light blue perfect for a stroll by the bay. 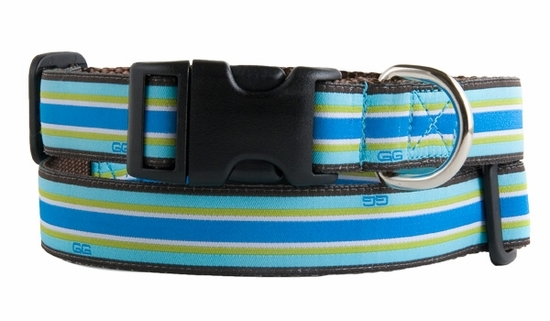 Made from durable nylon webbing with high quality nickel plated hardware. Machine wash and line dry.